If I could choose a recipient of a lifetime achievement award in photography, my choice would be Aïm Deüelle Lüski. My reason would be simple, direct, and matter-of-fact: he has dared to deconstruct the mono-focal camera that has been institutionalized ever since the onset of photography, and he has constructed a repertoire of alternative devices that transgress existing configurations of power and control relations, such as the one between the active photographer and the passive photographed person. New cameras and photographic accessories are invented daily. Most aim to improve the resulting photographed images, overcome circumstantial difficulties, and facilitate the production of a perfect image of reality. 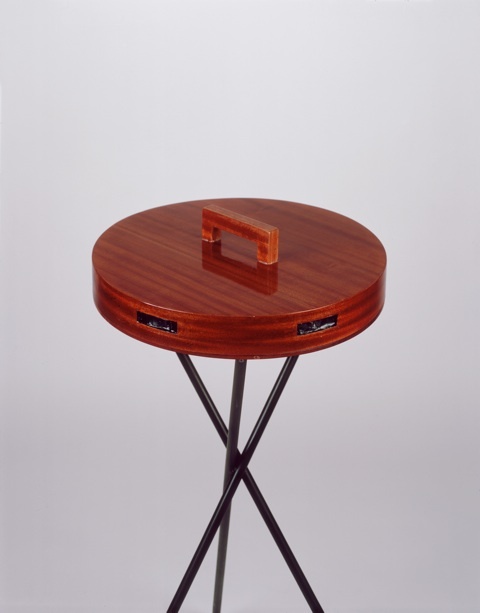 The alternative devices that Deüelle Lüski has created since the late 1970s and the images produced with them are not subjugated to this logic; they contravene it. These instruments produce illegible images that cannot be immediately read or deciphered. By deconstructing the black rectangular box that buffers what is in front of it from what is behind it, Deüelle Lüski’s cameras enable photography to take on new forms and bodies. By deconstructing the black rectangular box that buffers what is in front of it from what is behind it, Deüelle Lüski’s cameras enable photography to take on new forms and bodies. His apparatuses shape an indirect space of vision in which multiple – and not necessarily momentary – traces of movement in space and time are preserved. These traces enable vision to be expanded to what has been seen and what might be seen. Each of Deüelle Lüski’s cameras links the discussion of photography through its products – photographs – to the device itself, the "dispositive" in the Foucauldian sense. These cameras explore the conditions for the emergence of an image, its limits, the excesses and lacunas that it entails, what it could yield to, and the various modes of its recording. One of Deüelle Lüski’s recent cameras is a flat, round object about thirty centimetres in diameter, resembling a layer of a cake, perforated around the perimeter in six places (each lens covers sixty degrees of the area around the apparatus) (see figures 1, 2). Wherever it is positioned, the camera will be placed “just right,” and none of its apertures has any priority over another, as they are all orchestrated to regulate the simultaneous penetration of light. “Light is usually perceived as given in limited quantity,” Deüelle Lüski says, “and therefore should be reduced or used sparely. We have avoided thinking that light is a much broader phenomenon than the one and only image begotten from it.” Six negatives are placed inside the cake camera, equidistant from each other. Since they are rectangular, the negatives do not meet in the centre, so that the centre – like the spaces between the negatives – is photographically “wasted” space. The movement of light within the apparatus becomes a planned excess. 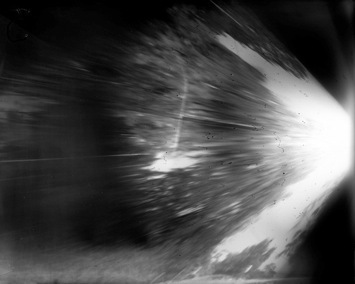 The cake camera introduces the viewer to the question of place and time of photographic information, as well as to the relationship between the place where the image is generated and the “wasted” space – which, although it includes information similar to that inscribed in the negatives, does not produce an image. The intervals between the six negatives form triangles shaped like cake slices. The cake camera extends the efforts of Jules Marey and Eadweard Muybridge by not taking for granted the causal relationship between the photographic event and the single image that it produces, on the one hand, and the investigation of the act of photography, on the other. Deüelle Lüski’s cameras facilitate the creation of images of a new kind. Our gaze is not yet trained to relate to such images, and research and study tools have not yet been honed to make them legible and to train viewers to read meaning into them. The ongoing trajectory of Deüelle Lüski’s cameras shows the extent to which the field of vision created by traditional photography has been demarcated and limited. As its boundaries are breached, many of the relevant questions – the answers to which have seemed self-evident – are posed anew, and the examination of photography actually seems to begin anew. If, indeed, Deüelle Lüski were to receive an award for his work in photography, it would be for what he has done to photography rather than for photographed images that he has created. In other words, the grounds for the award would be not his being a photographer or his photographic achievements, but the way in which he forces photography to be revealed time and again as an event of sharing and not as a tool in the hands of a photographer. Even when images are photographed – if this term can be applied to the cell-phone camera – “by” Deüelle Lüski they are not his, or at least the fact of their being “his” is entirely immaterial to the importance of the event that they generate. This event is authorless in the deeper sense of the word – it spreads out, happens, is always considered among several persons brought together by the camera for the time of the photographing or the viewing. The suspension of the photographer does not entirely eliminate the pole at which he is present, but it does reduce his role and certainly undermines his sovereignty, and, instead, lends greater weight to the camera, not as a device that produces informative images but as an instrument that generates negotiation over information and the infinite positions of the participants. Two kinds of photographs are shown at the exhibition: those taken upon the liberation of Buchenwald and Bergen Belsen concentration camps (see figure 3), in which that which is seen is clearly visible and decipherable; and those taken by a cell-phone camera – diaphanous, nearly transparent, blurred, sparse in contour and typical features (see figure 4). One might delve into them as into some Turner watercolours or early photographs by Niepce, soar on the wings of nothingness and at the same time think about the place where they were taken, aware of the frightfully meagre information that is transmitted through them, although this whole new technology is geared for the immediate delivery of such information. Of two such photographs, a viewer familiar with their specifics might state, after a while, “Here is the window at the home of Aïm and Rama,” supplying with words the information that was missing a moment earlier. The signified, having oscillated between appearing and disappearing, is now captive, shaped as the object of the photograph. About the others, one might repeat, after Deüelle Lüski, that here are photographs of “the way to the Occupied Territories” or “a view of the Territories,” and thus enable them to appear and be etched in one’s consciousness as the signified of a denotative statement that is independent of what is seen in the photograph and can still – by naming the seen – anchor it in its place. From the series «The Principle of the Least Action». The presence of Deüelle Lüski not merely as a photographer but as the one who participated in the photographic event, pointing silently or in writing, is crucial in order for the seen to receive a body, an apparent form, and a name. Otherwise, the photograph will remain abstract, since this denotative statement does not stem from the photographs themselves but is evidence of the moment when the photograph was taken, the moment in which a camera opened up to the view “on the way to the Occupied Territories” or to the windowsill of his living room, and gathered it into its bosom. The viewer must believe that whoever made these photographs, no less than the viewer, is usually tempted to believe what he sees in photographs of the legible kind. The viewer must believe that whoever made these photographs, no less than the viewer, is usually tempted to believe what he sees in photographs of the legible kind. Unlike the cell-phone photographs, the two black-and-white photographs taken in 1945 in the camps are legible, full of information. Both contain inner codes relating to that which is offered to the viewer, and thus they become the object of the viewer’s gaze. One can hardly claim that this information in itself does not need language to make them speak. Still, their object is more recognizable – it enables the viewer to see the horror that was revealed when the black box of the camps was opened and the piles of naked bodies appeared. 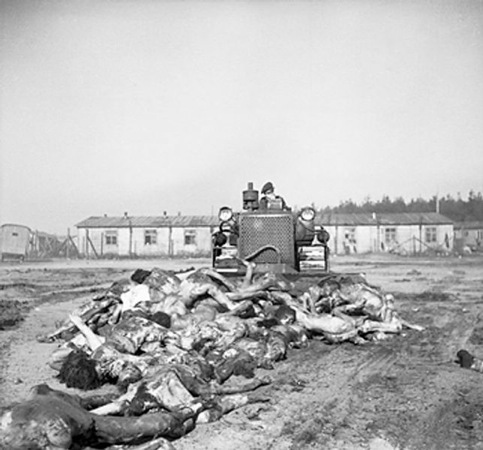 The photographs show not only the horror of Nazism but, at the same time, the horror that takes place the moment that a body turns into refuse that must now be eliminated either by burning or by mechanized removal. The photograph taken in Buchenwald, however, serves here to document not only magnified horror, but also the double banning of the individual from the human community that has made him lonely and desolate, deprived of dear ones who would demand that his body be covered and prevent his becoming an object of the astounded gaze of American soldiers, journalists, and German residents who, upon the opening of the camps, were brought on an organized tour to see the horror for themselves. The two photographs that Deüelle Lüski chose are both familiar and unfamiliar. Even those who have never seen them before recognize them as belonging to the iconography of the Holocaust, and recognize in them the moment of ending – the liberation of the camps. The signified of the photographs – a pile of bodies being removed by tractor or a pile of charred bodies – is familiar even if the chosen frames are somewhat less well known. More typical photographs of the moment of liberation might come to mind – those displayed on the walls of Holocaust museums or contained in literature dealing with the moment in which the veil was lifted and the camps were exposed to outside view. But the issue for Deüelle Lüski is not the typicality of the image, its historical detail, or the question of authorship. These are all put aside for the sake of viewing photographs that bear the stamp of “being there” at a given time and place, photographs that are linked to his own biography, and to delineate from them, inside them, a private intimate space of memory that has not been made possible, has not been transmitted. “I don’t know where my grandparents are buried” is a sentence that Deüelle Lüski has repeated in recent years. Their disappearance between Ponar and Buchenwald turns these two photographs presenting two harsh possibilities of body disposal into a concrete image of their eventual fate: “I cannot imagine him [my grandfather], but it is easier for me to imagine him here inside the pile.” At any rate, Deüelle Lüski feels that the photographs are addressed to him and is committed to making them his own. Rejection of the photograph as a final certainty enables him both to conceal – to delineate anew a private space inside the wide-open public one – and to enable his private image to be revealed out of an image that is not his and does not belong to him. The four drawings that Deüelle Lüski selected as objects for his photographs from the rich and rare collection of drawings created during the Second World War in the Terezin Ghetto are already – in themselves – swiftly drawn snapshots, substitutes for photographed documentation that did not take place. Their creators are not at all anonymous, as the text accompanying the exhibition erroneously claimed. Some of the drawings were commissioned – one of the services that elite painters of Bohemia and Moravia were forced to provide to the ghetto graphics unit; these artists produced illustrations, paintings, and announcements for the ghetto administration. Others were made by the same artists on their own initiative, as they tried to blend in among the passers-by in the ghetto streets and escape the scrutiny of Germans, capturing the contours of everyday scenes with their pencils (see, for example, the drawing by Carl Fleischmann, figure 5) in their small sketchbooks to be completed later, clandestinely. The drawings were hidden within the ghetto or smuggled out, and most of them are now kept at the Terezin House Museum or at Kibbutz Lohamei Hagetaot. 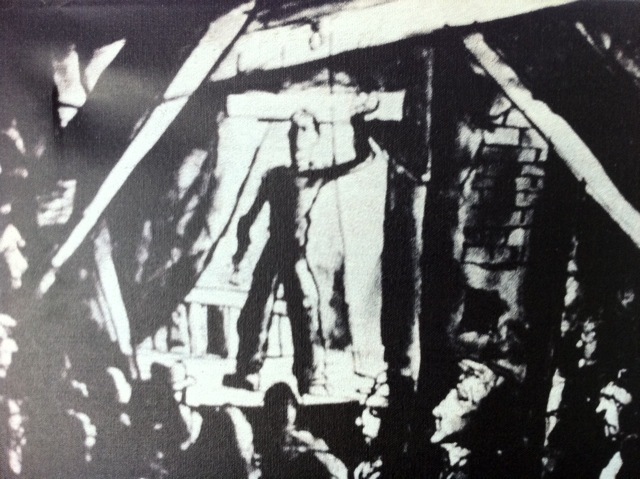 Most of the painters were caught – including Otto Ungar, who drew the man with the armband, and Bedrich Fritta, who drew the man performing for his audience – tortured, sent to Auschwitz, or put on trial for “creating horror propaganda and disseminating it abroad.” Under the harsh conditions in the ghetto, where, among other things, any painting or drawing except those portraying a model ghetto was strictly forbidden, painters had about as much access to art materials as photographers did to film. Whatever they managed to produce, by will or by force, became permanent evidence not only of the scene that they portrayed but also of the conditions under which it was drawn. In each drawing, the gap is evident between the pretence of normalcy in a town in which Jews were concentrated to refute by their physical presence the horrific descriptions of Nazi doings that had already started proliferating beyond its borders, and the horror of their everyday life, which the Nazis wished to deny by means of the commissioned drawings. 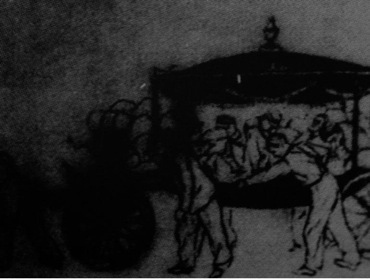 Thus, for example, in Malvina Shelkova's drawing (see figure 6), a hearse is pushed by a group of exhausted men, their bodies bent under its burden – but still, they are in better condition than those already loaded on the carriage, the living dead, being transported to their final destination. Similarly, the drawing by Bedrich Fritta (see figure 7) portrays not a play ordered by the Nazis to show their guests from the Red Cross how well the model ghetto functioned, but probably a semi-clandestine organizing of ghetto inmates who have gathered in some basement – packed together, like a single body taut and ready to escape at any moment – to listen to a monologue or song performed by one of the ghetto’s actors. Against this background, erasing the distinction between what was drawn under orders and by free will, reducing the drawing to its content and ignoring the circumstances of its production, is totally instrumental. It was this distinction that underlay the persecution, torture, and execution of these painters by the Nazis, who saw the “un-permitted” drawings as a threat to the world picture that they wanted to create. Drawings of the harsh conditions in the ghetto – scenes of hunger, disease, or poverty – embodied this threat. However, many more drawings, such as the one by Unger (see figure 8), with which I shall conclude, transgressed the established framework, and most of their makers paid with their lives. 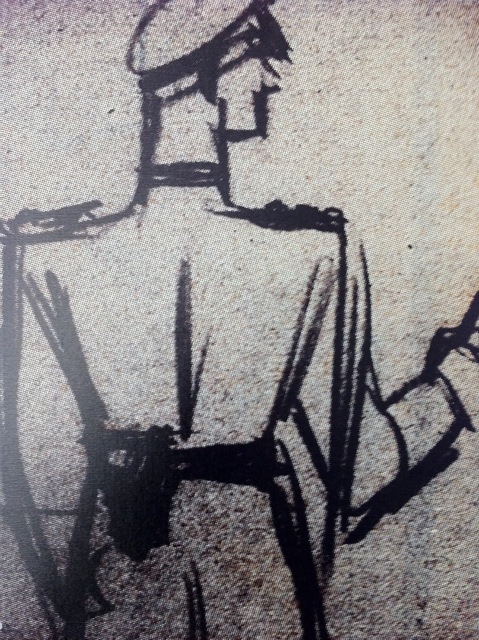 This drawing of a man leaning on a wall is markedly bizarre. 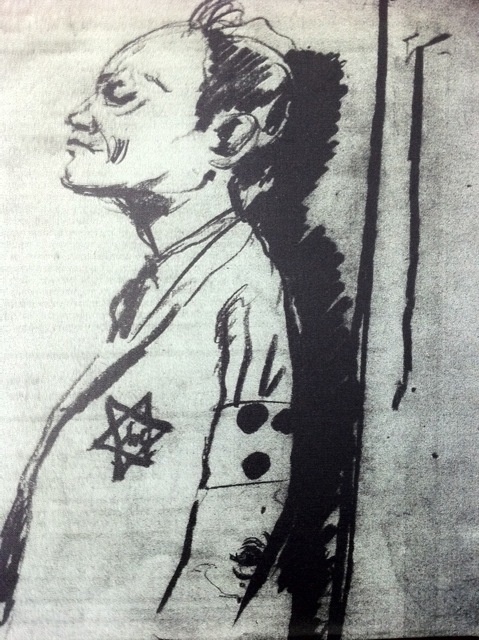 The man’s eyes are closed, his head slightly inclined upward as if shutting his eyes is not enough to avoid seeing what is in front of him, as if to forget that wherever he goes he is marked by his identity and traits: a yellow patch on his chest marks him as a Jew, and a dotted armband marks him as a blind man. Even without shutting his eyes and lifting his head he sees nothing, and still he makes sure that several small gestures will enable him to keep his would-be gaze away from any direct object. He lifts his chin as high as possible in order to withdraw into himself, leaving his ears, perhaps, to note the sounds that surround him. Judging by his lips, softly closed, perhaps he is listening to some inner music – perhaps some tune rings in his ears. Neither the possibility that he is in a public space, attending a concert or play, nor the possibility that he is in a private space, in his home, can be supported by information in the drawing. The wall in the background is explicitly bare, devoid of any identifying decoration or sign. This may have been deliberate, or perhaps the artist who hurriedly drew the portrait did not have ample time to draw a background, and when he returned to it that evening he found the blind man’s image sufficient. The background could be anywhere. The artist stresses the shadow on the wall in a way that pulls the figure even further from its location, leading the viewer to wonder whether someone is intentionally lighting him, investigating his image. Would this be the painter himself? Or a researcher? Or a photographer preparing an identification portrait? There is no information to help us reconstruct the situation. All that we can do is go back to the drawing. We can notice that in spite of what appears at first glance, the figure is not really leaning against a wall. He is standing in a corner, very close to the wall to his right and away from the wall behind him, perhaps not even touching anything. This man stands erect and taut, as if at attention or under orders. As with optical illusions, an extended gaze at the drawing extricates it from its frozen state. The image that we are looking at takes deep breaths, one after another, softly, holding the air in his chest as he concentrates on the regular sequence of filling first the belly, then the lungs. In a moment his face will completely inflate and he will detach himself from the paper and take off, his thin hair flying back, the head slightly inclined toward the shoulders and pulling after itself the body that gradually turns into an aerodynamic shape, as he removes himself from the place where his body has tired of being. 1. All quotations by Deüelle Lüski are from unpublished conversations with Ariella Azoulay. 2. On Deüelle Lüski's cameras, see my article "Cameras For a Dark Time", Aperture (November 2010), and an interview that I conducted with him in my film The Angel of History, an excerpt of which can be seen here on Cargo, a Web publishing platform. 3. The exhibition that Deüelle Lüski curated of his mother's paintings (Hakibbutz Gallery, 1998) began this third mode of action. Azoulay, Ariella. 2012. « As with Optical Illusions, an Extended Gaze at the Drawing Extricates It from Its Frozen State: On Aïm Deülle Lüski's Exhibition «The Principle of the Least Action» ». Dans Imaginaires du présent: Photographie, politique et poétique de l'actualité. Cahier ReMix, n° 1 (mai 2012). Montréal : Figura, Centre de recherche sur le texte et l'imaginaire. En ligne sur le site de l’Observatoire de l’imaginaire contemporain. <http://oic.uqam.ca/fr/remix/as-with-optical-illusions-an-extended-gaze-at-the-drawing-extricates-it-from-its-frozen-state>. Consulté le 19 avril 2019.